At Digital Print Management we aim to give the customer what they want and, not what we think they should have. This involves sitting down with the customer and understanding their issues and pain points. When we have a full understanding of what the customer really wants only then do we look at honing in on solutions that are actually going to work for the customer. It is our job to listen, understand and ask questions so that we can give our customers exactly what they want not what they think they want. We have happy customers because we deliver best value, best solutions at an affordable cost. With 8,000+ employees spread across different departments. The Payroll office prepared data and printed payslips using old printers. The time taken to print payslips was 10 hours. Payslips were then manually sorted by department and manually distributed by the mailing room. Due to the amount of employee resources needed and the pressure on the team, payslips were late resulting in problems and queries from employees. 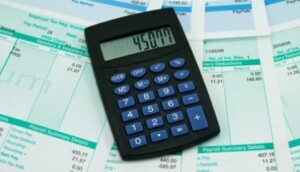 A simple print data preparation program was deployed to receive data direct from the Payroll department. This data consisted of several files received weekly and monthly containing the employees pay details. Flagged fields were contained in this data to identify which department the employee belonged to. The data prep programme prepared the file for printing and sorted the pay slips in location order. An overlay was required, with each location’s pay slips needed to be separated by a dividing sheet – printed with all the names of the employees within that University department, together with the name and address of the department head. This provided an easy reference guide for the University mailroom to quickly “pigeon hole” and deliver internal pay advices by department. Printing is on high-speed printers with multiple feed trays for the pay slip base stock and the divider sheets. Payslips are folded, glued and sealed using pressure seal technology into a self-mailer and kept in order with divider sheets used to identify the start of each department. This process ensures that all pay slips are shipped correctly and that no duplicate payslips are printed. Reports are automatically generated which are emailed to the University providing full details of each payroll mailing. 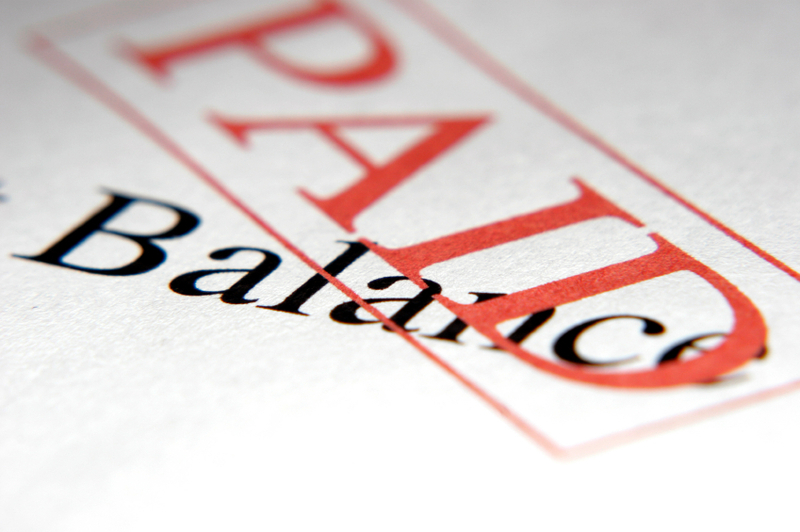 The University wanted the flexibility to deliver both electronic and paper payslips. From several data files supplied, data is processed for uploading to an online portal where employees can view and download their payslip online those employees that can’t access the internet or prefer a paper document receive a paper payslip. Outsourcing has given the payroll team a faster and more accurate method of printing and distributing employees’ payslips. Payslips are now consistently delivered or mailed out within 24 hours of the data being prepared, an improvement of 3 days on the previous in-house service. Quality controls and the reporting process give the University full control. Statements were printed using local colour laser printers and formatted to american quarto style and enclosed with supporting documents. The format types coupled with the additional documents matched to the statements meant that the bank had to buy expensive bespoke made envelopes to fulfil the document sizes. There was no automation for merging documents into a single envelope, therefore each print application was sent separately resulting in many jobs being printed and processed daily. All jobs were painstakingly separated, folded and inserted into envelopes by hand. Departments within the bank were producing statements ad-hoc, the result; customers would receive upwards of seven envelopes generated by different departments within the same building. resulting in substantial postage costs. 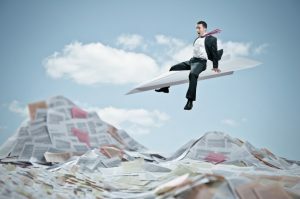 Franking envelopes and the associated costs created by the various departments printing statements and ad-hoc documentation for the customer resulted in a never-ending series of paper trails. Costs escalated as each department ordered their own stationery. With no control over the management of any of the processes, the various departments including customer services continued to process documentation without communicating with each other. To provide an effective managed print and outsource printing solution for the Bank. Digital Print Management undertook a free print audit and evaluated the paper trail to fully understand the current processes. A data prep program was written to receive data from the I.T. department daily. The data consisted of one file containing the customer’s details followed by the additional documents needed to be printed and matched. Flags contained within the data are used to pre-sort according to destination – UK 1st class; UK 2nd class; overseas. Printing is done using colour laser printers thus dispensing with the need for pre-printed stationery. The standardisation to A4 portrait has reduced the cost of paper and a standard C5 envelope is used for the enclosing of statements. The customer now receives 1 envelope instead of several and postage costs are substantially reduced as mail is sorted for collection by downstream access. A 2D bar code is used to capture and validate all statements are printed correctly and that there are no duplicates or mismatching of documents. The bank’s customers also wanted the choice of either receiving a paper or electronic document. From data files, electronic documents are uploaded for those customers that want to view and manage their statements online. Customers that want a paper document receive their statements in the post. Optimising Digital Print Management’s managed print services has made significant cost savings for the bank. Statements are accurate and up to date and are mailed within 24 hours of the receipt of data, which is an improvement of 3-5 days on the former in-house service. Staff are no longer manually matching and inserting statements. The company required a marketing initiative that incorporated a direct mail piece with a cheque portion. Customers who referred a friend or colleague to the insurance company and took out a policy receive a reward in the form of a cheque. The insurance company had an outline of what they wanted to achieve but didn’t have the resources, knowledge or capability to print and mail in house. Digital Print Management designed a modern marketing mail piece that reflected the company’s objectives including a C&CCC cheque portion infilled with customer details and amount. 8 letter templates were set up and from data files received twice weekly, letter templates are merged with the correct marketing letter. Each template is laser personalised at the same time as the cheque data is infilled with the variable information and the amount. Cheques are mechanically inserted and a 2D bar code is used to capture and validate all cheques printed ensuring there are no duplicates or mismatching of documents. 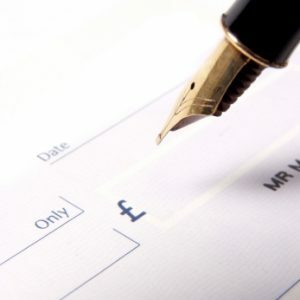 Cheque letters are mailed using downstream access ensuring that the customer benefits from the best postage discounts available. The customer has seen a significant uptake in insurance policies through their “reward a friend” marketing campaign and letter templates currently in use exceed 15. Postage costs are outweighed by the large take up they have from the success of the campaign. The flexibility of the service means they can update and change letter templates when required. Based in London this company delivers electronic and paper invoices and statements to its customers. Many of their customers either refused or were unable to receive electronic documents. This meant 5,000 of their customers requiring a paper document. The company has limited resources with five credit controllers regularly having to stop work to insert statements or invoices into envelopes. The software company had engaged the services of a print and mailing house and data files were created and sent twice weekly to be mailed out. The company wanted a desktop solution that would give five users the option of uploading documents whenever they needed too. They also wanted approval level authorisation so that each user according to their position within the company had a spend limit. Digital Print Management’s Print-2-Mail solution ticked the boxes. Following a trial period they were ready to go live and use the system. PDF’s are now uploaded twice weekly and mailed out either next day or within 2 working days. The insurance company have the flexibility to upload documents from their desktop anytime of the day. The organisation uses 2nd class downstream access to mail out their documents and have made sizeable savings on postage. They also like the freedom of being able to create the data file in house and upload documents when they are ready. The digital asset library means that the company can upload all of their marketing collateral and various collection letter templates. Credit controllers upload the debt chasing letters and choose the letter template required. The system generates reports for them so they can manage who and what has been mailed out. All costs are viewable on the system ensuring they have full management control over their spend.